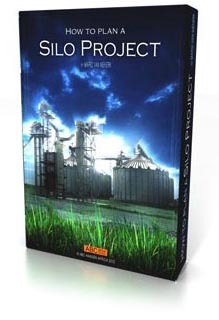 Download your free copy of "How to plan a Silo Project" ebook in .pdf format. To order one of these publications, just give us a call or contact us via the Contact form, and indicate your interest. The price is ZAR 250-00 per publication plus postage and 14% VAT for South African buyers. A magnificent US guide to these aspects with many good ideas for planning a silo system, loading & unloading, drying techniques and a host of other practical advice for on-farm storage specifically. Anybody involved with grain should have this. This handbook will enable you to effectively select equipment, organize the equipment into a system and locate the the system properly. the importance of proper planning can not be over emphasized. The handbook covers Grain Quality, Drying Temperatures, Handling Damage and Storage Damage amongst others. This handbook is organized into two major subject, Low Temperature Drying and Solar Heating. The publication supplies you with the principles of low temperature grain drying and recommends practices, it also gives information on how and when additional heating can be useful. The principles of storing collecting and using solar energy are presented as completely and technologically complete as possible. 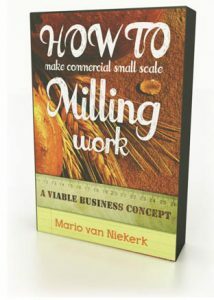 If you want to improve the quality of your grain, and improve the price you get for your grain, this book is essential to your business. This quick reference guide is a must for everyone who owns a silo. A lot of time, money and effort is invested into growing, harvesting, drying and transporting grain crops. It is important to protect your investment in a crop by continuously managing the grain after the harvest to prevent loss in the quality and quantity of your grain (commonly referred to as spoilage). This guide instructs you about causes of grain storage problems, preventing grain storage problems and grain storage safety among other subjects. This is a design handbook intended to technically orientate an audience interested in learning the art and science of aeration system design. It provides guideline for selecting, sizing, locating and evaluating grain aeration systems, and gives design examples of commonly used systems. Correct design measures are just as important as correct operating measures for your success. 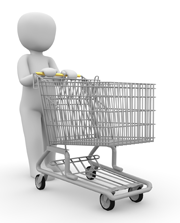 If you want to know what you want before you buy, you can't let this treasure slip you by.